The motorway A 14 from Bologna links you directly to the principal motorways of Europe. Bologna Airport which is 160 Km. 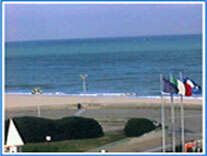 far from FANO, is linked every day to many national and international airports. Ancona Airport, 50 Km. far from FANO, is linked with national scheduled flights to Rome and Milan. Rimini Airport, 50 Km. far from our town,offers convenient special chartered flights, from Mai to September. Efficient rent a car service at the airports. Travelling by train gives you the possibility to reach easily our town from all italian and european cities. 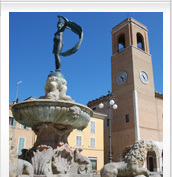 FANO rail station is in the centre of town.